Free Movies | A Savings WOW! Take your family to the movies as part of your staycation. 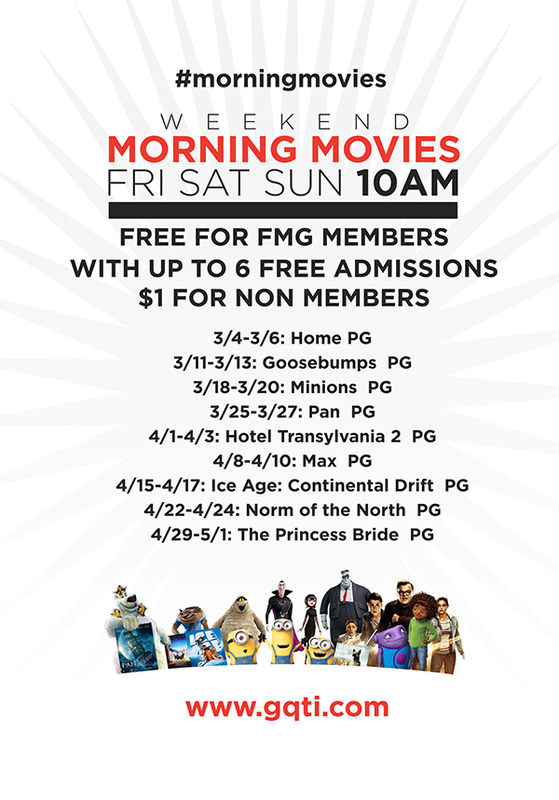 Here are the free movies for FMG members this spring for all ages on Fridays, Saturdays and Sundays at 10 am. These are playing at Goodrich Quality Theaters. If you are not a member of their free Frequent Moviegoer Club (FMG), sign up here or at the movie theater! You’ll receive up to 6 free admissions for the shows above with your FMG card per show. Non-members will be charged $1.00 per ticket. Plus, you’ll receive points from your movie ticket and concession purchases towards rewards.